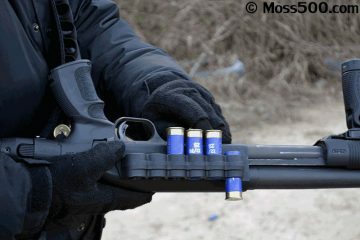 Optional accessories for the Mossberg 500/590 can certainly be handy tactical upgrades. One essential upgrade you’ll need to make is in the sighting department. The tritium sight, for example, is perfect for helping you see where you’re aiming in the dark. The tritium sights are basically night sights that have a self-illuminating feature. The illumination is caused by the small trace of glowing tritium gas inside of the sight. 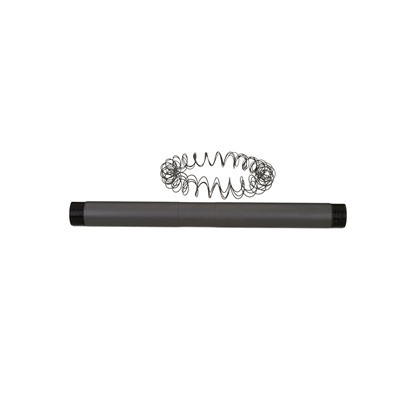 This tritium gas can stay illuminated for years before you need to replace the sight. 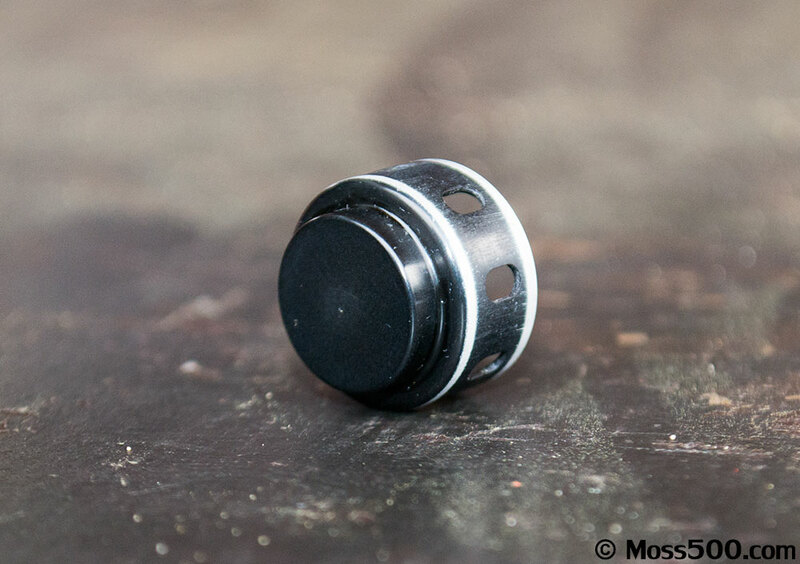 This will save you money from having to purchase batteries for red dot sights or constantly replace your sighting with a newer one. Anyone in the military or law enforcement will certainly find this nighttime sight particularly useful. 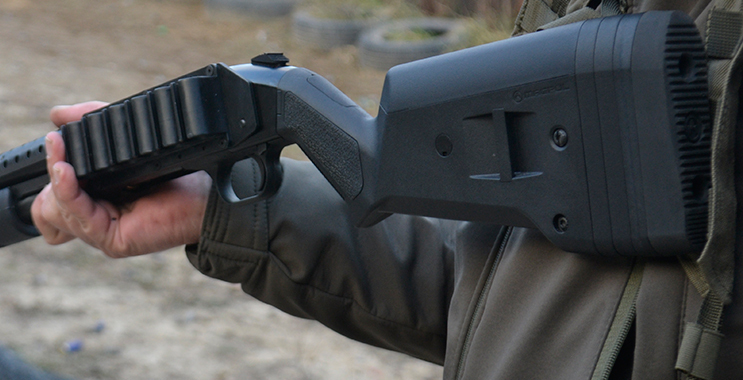 If you’re typically using your Mossberg 500/590 during the day, then you might be better off with a fiber optic sight because those are made to use in bright environments. The tritium gas sights work better at night. If you end up using your shotgun day and night, then you can use Tritium sights because they have thick white ring around Tritium elements. Some people like to use tritium sights for hunting at night, but they are still great for tactical purposes too. All you have to do is just sit idly in the darkness as your target comes into your path. The tritium sight will allow you to accurately shoot these moving targets while they’re in the darkness. And since it’s gas, you don’t have to worry about turning on the tritium sight because it stays on automatically all the time. That is why most tritium sights will give you 5 years of illumination from them. Just remember that you need to be 100% sure about your target, so have a flashlight on your shotgun. The best tritium sight available for the Mossberg 500/590 is the XS Sight Systems Shotgun Tactical Ghost Ring Sight Set. 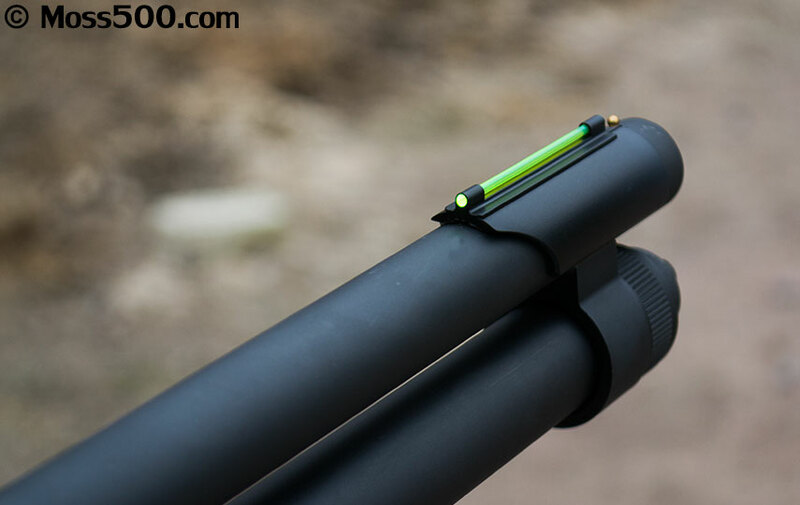 This tritium sight contains a green front sight and two rear ghost rings that are fully adjustable and interchangeable so that you can conduct both long range and short range shooting. They even have steel wings which give extra rear sight protection. Since the tritium front sight is dovetailed, you can fit it onto the factory sight ramp of the weapon with just a little bit of extra fitting. 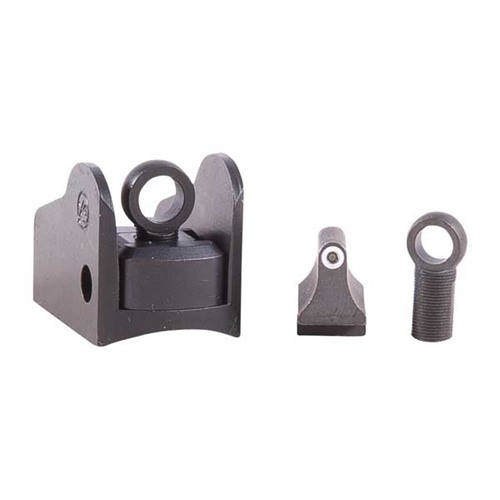 The cost of this XS Sight Systems Shotgun Tactical Ghost Ring Sight Set is $144.00. Of course, there are other tritium sight brands on the market but none of them have the quality and ease of installation that XS’s version has.